At her biggest, Christina Mandeville — a mother of three — was 350 pounds and suffering from multiple ailments. UF Health dramatically turned her life around, both physically and emotionally. As a nurse, Christina is naturally devoted to care for the well-being of others. However, the 34-year-old Branford, Fla., resident was slow to realize the lack of attention she was giving to her own health. Christina eventually found herself anchored at an unbearable weight, which kept her stranded somewhere far away from her children, both physically and emotionally. She needed a lifeline. Luckily, Christina already had a place that earned her trust over the years by caring for her children. Christina was desperate to get down to a manageable weight. At 350 pounds, it would take three procedures and coordination between multiple departments at UF Health to get her where she wanted to be. The original surgery was performed by Dr. Jeffrey Friedman three years ago at the UF Health Weight Loss Surgery Center. Initially, Christina had her heart set on doing a gastric sleeve procedure in which up to 80 percent of the stomach is removed to encourage weight loss. However, Dr. Friedman convinced Christina that the gastric bypass surgery would be a better option in her case to lose the necessary weight and feel better. This technique helps patients lose weight by changing how their stomach and small intestine absorb and digest food. At the time of the operation, Christina was at 309 pounds. Now, she’s down to 160. Christina, who’s been nursing since 2009 and currently works through a Branford company to provide in-home care for disabled babies, enjoyed a swift recovery with no complications. Christina’s journey wasn’t over yet, though. Her two follow-up procedures were performed by Dr. Bruce Mast at the UF Health Plastic Surgery and Aesthetics Center. The first of those two operations was done in June 2017, a lower body lift with abdominoplasty, or tummy tuck. The second was done a couple months later to address her upper body, with Dr. Mast doing work on her arms and performing breast augmentation. Suddenly, after all that time as a castaway, Christina had navigated herself to the relationship she always wanted with her kids, and herself. According to Dr. Mast, his patient’s attitude resembled that of an artist fiercely eager to paint their bare canvas with color. Before the massive weight loss surgery and body contouring procedures at UF Health, Christina’s uncomfortable life contained other problematic areas. Now, the benefits of those operations are chipping away at each one. 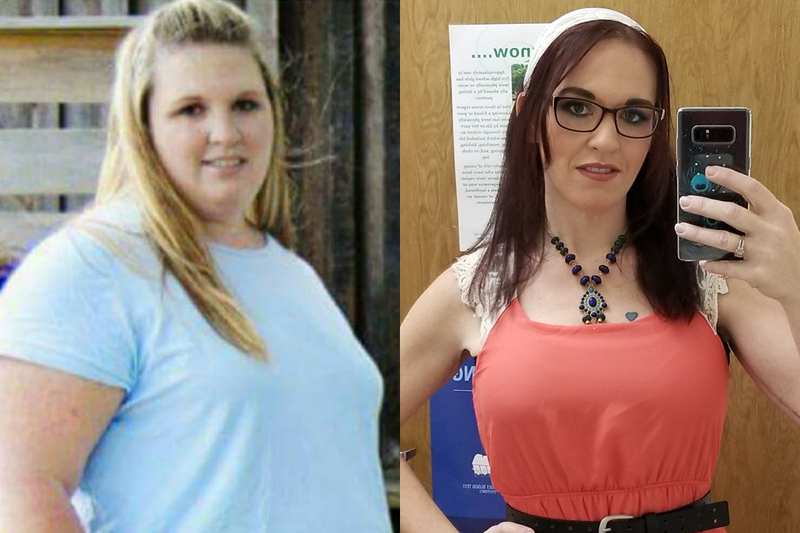 Christina, who said she’s been on depression and anxiety medication “on and off for years,” has felt a major transformation. “I’m very thankful for all the surgeons that I’ve come across, because they’ve made me feel better about myself, like my personal views on myself are better,” Christina said. She was also pre-diabetic and no longer has that issue. Meanwhile, Christina made sure to point out the way her physicians handled another one of her conditions to illustrate how thorough her care was at UF Health. Christina also has hemochromatosis, which means she gets overloaded with iron in her blood system. Dr. Mast worked one-one-one with her hematologist, also through UF Health Shands Hospital, to evaluate whether she was safe to have the second follow-up surgery because she was notably anemic after the previous one. “I was very pleased with the continuity of care that everybody provided,” said Christina, who also made a point to mention her “very sweet” nurse practitioner Dawn Daigen. To schedule an appointment with the UF Health Weight Loss Surgery Center, call 352.265.0535 or to schedule one with the UF Health Plastic Surgery and Aesthetics Center, call 352.265.8402.